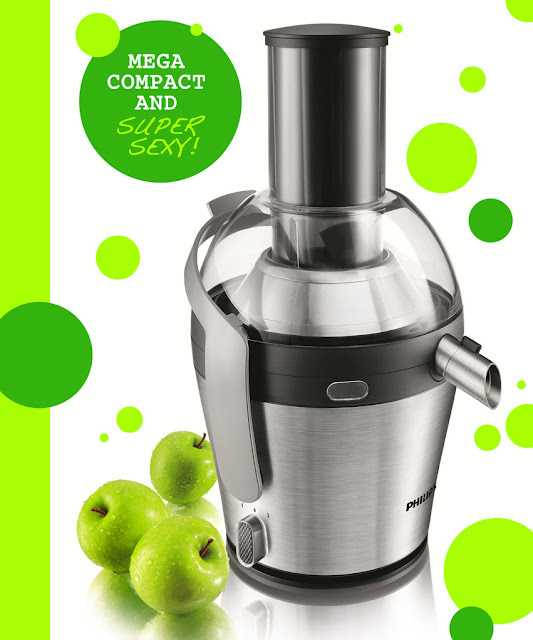 Philips recently announced the launch of their brand spankers new QuickClean Juicer, and guess what? TT got one to roadtest(! ), so if juicing is something you've been thinking about starting (go you! ), listen up. :: The extra-large (80cm) feeding tube (no need to pre-cut fruit/veg before juicing!). :: Super easy to assembly and just as easy to take apart. :: The pulp is all collected in one place, which means you don’t need to scrape off pulp from other parts such as the lid (oh, and if you have chickens like us? Give them the pulp, they love it!). :: All removable parts of the juicer are also dishwasher safe. That said, I find it a cinch to wash up under the tap, provided you do it immediately after making/drinking your juice. :: The jug it comes with is awesome. It's not only huge, but it holds back the froth and any ice I throw in the jug prior to juicing. Ice cold, fresh squeezed fruit and veggie juice? I mean, really. What else is there? Jason Vale (above) - remember him from Hungry for Change? 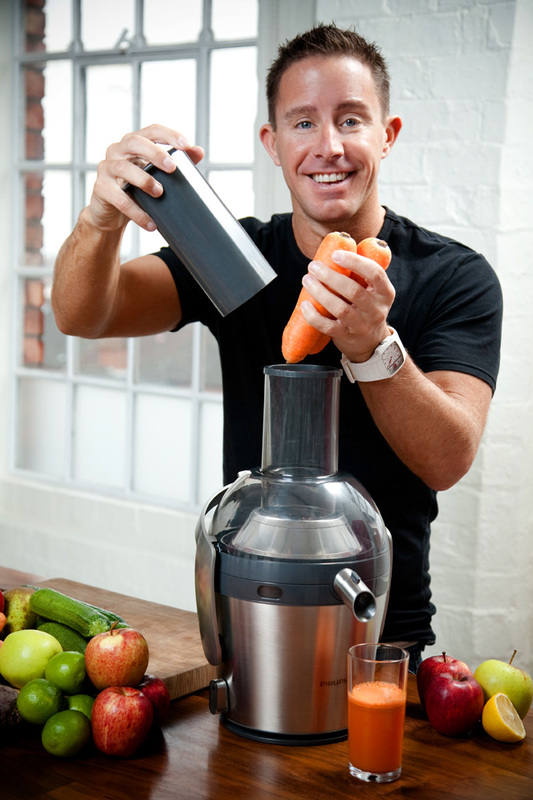 - has been promoting the health benefits of fruit and veg juices for over a decade and believes that having the right tools is crucial for successful juicing. “The thing that people usually complain about more than anything else when it comes to juicing is the cleaning. Philips has listened – it now takes less than a minute to clean your machine,” said Jason Vale. “I’m passionate about juicing – I juice two or three times every day and I need a machine that will take the job on.” Jason Vale will be in Australia in April to launch his new book, The Funky Fresh Juice Book (below), and will be conducting live demonstrations as well as sharing his personal story about how he improved his health and gained a new life through juicing. 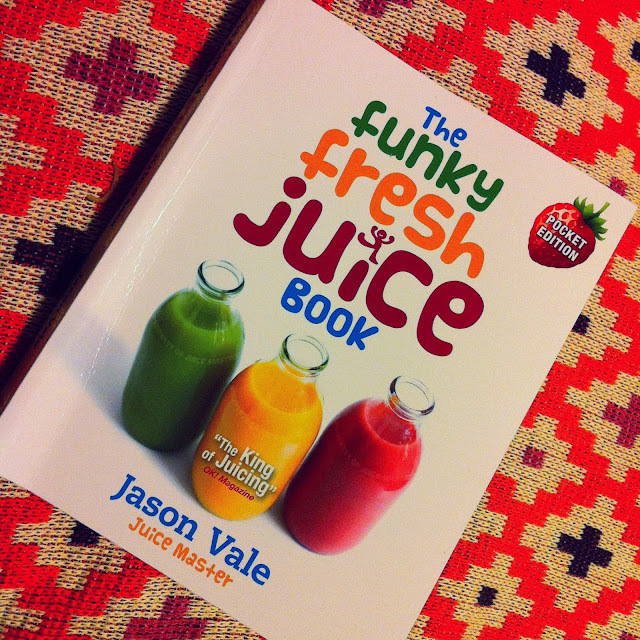 Click to buy The Funky Fresh Juice Book (above). The Philips QuickClean Juicer is available at major department and electrical stores NOW! And PS Between now and May 31, Philips are giving you a gift with the purchase of a QuickClean Juicer including the choice between a 6 month magazine subscription from a selection of these great mags or a $30 eftpos gift card (click for offer terms and conditions). And in case you missed it, click to read the Table Tonic guide to making the perfect green juice/smoothie! Hi! I've been reading your web site for a long time now and finally got the courage to go ahead and give you a shout out from Houston Texas! Just wanted to say keep up the excellent job! a great deal of work? I've no expertise in coding however I had been hoping to start my own blog soon. Anyway, if you have any recommendations or techniques for new blog owners please share. I know this is off subject but I simply needed to ask. Appreciate it! problems with hackers and I'm looking at alternatives for another platform. I would be fantastic if you could point me in the direction of a good platform. say I truley fancy reading through your web site. I hope this is fine with you, I'm trying to give your excellent blog a bit more coverage. Be back soon. excellent and i can assume you're an expert on this subject. Well with your permission let me to grab your feed to keep up to date with forthcoming post. Thanks a million and please continue the enjoyable work. Awesome issues here. I'm very happy to peer your article. Thanks a lot and I am having a look forward to contact you. Will you kindly drop me a mail? It's not my first time to go to see this site, i am visiting this website dailly and take nice data from here all the time. post posted at this web siite is truly nice.